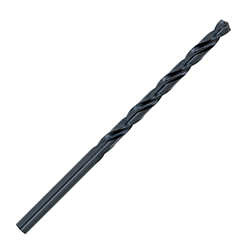 Wire gauge drill bits are used in wood, metal and plastic applications where more precisely sized holes are required. The bits drill an exact hole size, making them ideal for tapping. Bit diameters fall between standard fractional sizes.